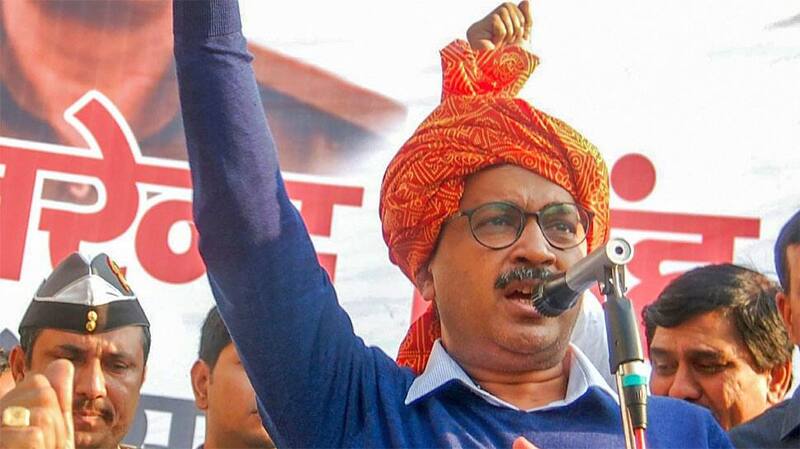 New Delhi: Valentine’s Day brought no love for Arvind Kejriwal who was slammed by the Bhartiya Janata Party for questioning the Supreme Court ruling on control of services in Delhi. A two-judge bench of the Supreme Court on Thursday delivered a split verdict on the issue of transfer and posting of Delhi government officers. The top court, while referring the matter to a larger bench, also said that the lieutenant governor (L-G) has the power to set up an inquiry commission. And Kejriwal was not too pleased. At a press conference later in the day, the AAP chief asked that if a state government can’t even transfer its officers, how is it supposed to function? The BJP was quick to pounce on what Kejriwal said in the press conference and said that it was equal to questioning the wisdom of the country’s top court. “We can’t believe a democratically elected CM can use this type of language for Supreme Court. He has always been an anarchist, tampering with rules while putting constitution at stake is his method,” said party spokesperson Sambit Patra. Union minister Kiren Rijiju echoed Patra’s view. “Arvind Kejriwal and Congress do not trust any constitutional body. They criticize the Election Commission, CAG, Supreme Court and other institutions. Anarchy is in their scheme of things,” he said. While Rijiju may have drawn similarities between Kejriwal and Congress, former Delhi CM Sheila Dixit too felt it would be better for AAP not to be brazen in the matter. “The Constitution has defined the power Delhi has, it’s not unlimited. Centre, Lt Governor and Home Ministry handle a lot of things. So fighting is no solution, make changes if needed. Power doesn’t depend on the number of seats you have,” said Dixit who was recently made chief of Congress’ Delhi unit, replacing Ajay Maken. AAP chief Arvind Kejriwal took oath as the Delhi Chief Minister on this day in 2015, after sweeping 67 of the 70 Assembly seats here. Since, he has been at loggerheads with the LG and the Centre, accusing both of creating obstacles in the working of the Delhi government. He has, in return, been accused of trying to hide his failures under the garb of his accusations.